In its final week of the 2019 session, the Maryland General Assembly gave final approval to a bill that would make Maryland the first state in the country to ban polystyrene foam food containers and cups. Already both Montgomery and Prince George’s counties have enacted their own polystyrene packaging bans for food service products. The state bill now goes to Governor Hogan who has given no indication whether he will sign or veto the legislation. Energy use: Polystyrene foam products consume significantly less energy than the alternatives; half as much as wax-coated paperboard cups and one-third as much as polylactic acid (PLA) clamshells. Water use: Polystyrene foam products use significantly less water than the alternatives, up to four times less than PLA clamshells. Solid waste: Polystyrene foam products create significantly less solid waste by weight than the alternatives, up to five times less than paperboard and PLA products. Greenhouse gases: Polystyrene foam products may generate slightly more greenhouse gas emissions than PLA products. However, if paperboard products degrade to the maximum extent, they generate more greenhouse gas emissions than polystyrene foam products. So, comparisons of greenhouse gas emissions vary widely depending on which replacement products are used. 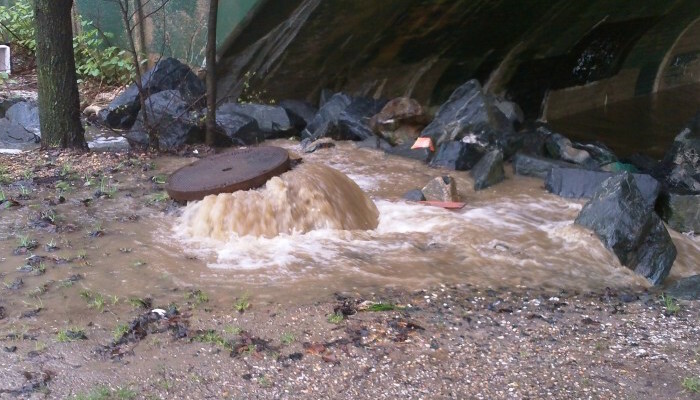 While the Maryland General Assembly focused on polystyrene foam food containers, the Baltimore Department of Public Works was reporting that about 45 million gallons of sewage-tainted water overflowed into the Jones Falls and Herring Run after heavy rains. The sewage overflow occurs when stormwater overwhelms the sewage system, which was designed only to handle waste, not an influx of stormwater. So rather than face fines and further legal action, O’Malley signed a consent agreement on behalf of the City promising to address the problems, including making the necessary investment upgrades by 2016 to fix the sewer system and prevent further illegal discharges. At the time, fourteen years probably seemed a very generous timetable. Unfortunately, Baltimore had priorities other than the public’s and the Chesapeake’s health and failed to fulfill the agreement. So, in 2017 the US EPA gave the city a 13-year extension of the consent decree until December 31, 2030. Having already blown a fourteen-year deadline, from 2002-2016, it remains to be seen if an extension to 28 years will be enough to get Baltimore finally into compliance with the 1972 Clean Water Act. Instead of calling attention to the failure of a generation of Baltimore politicians to comply with existing environmental law, Maryland’s self-proclaimed eco-friendly legislators were signaling their virtue with a new polystyrene foam food container ban. 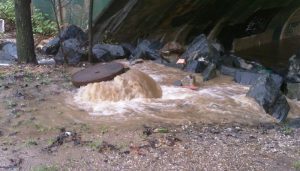 All the while brown, waste saturated water was continuing to flow from Baltimore sewers into waterways leading to the Chesapeake.